Shaun MacDonald admits he’s relishing the opportunity of helping Wales build on their Euro ‘16 glory ahead of tonight’s World Cup qualifier in Austria. Wales shocked the footballing world by advancing to the semi-finals of the Euros, before bowing out to eventual winners Portugal. 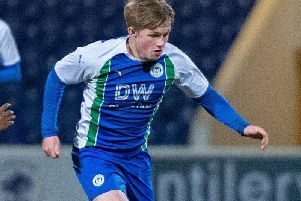 Swansea-born MacDonald missed the cut for the finals in France, but he has been recalled to the squad following an impressive start to the campaign with Wigan Athletic. And he admits the opportunity of linking up with the likes of Gareth Bale and Joe Allen is a massive honour for him. “It’s always great to train and play with great players, and I was very proud to get the call-up,” he told the Evening Post. An injury to Arsenal star Aaron Ramsey has helped to open the door for MacDonald to re-join the squad, and he says everyone in the Welsh camp is fiercely determined to prove their recent heroics have been no fluke. “Everyone is still on a massive high from the Euros, and we’re trying to keep the momentum going,” the 28-year-old acknowledged. “It’s a different challenge in front of us now, going to Austria who are a very good side.